Your Settings page is where you can set all of your galleryManager preferences such as Multiple Currencies, Users and Access Control, Default Dimensions, add your Letterhead into the system, and Billing Information. 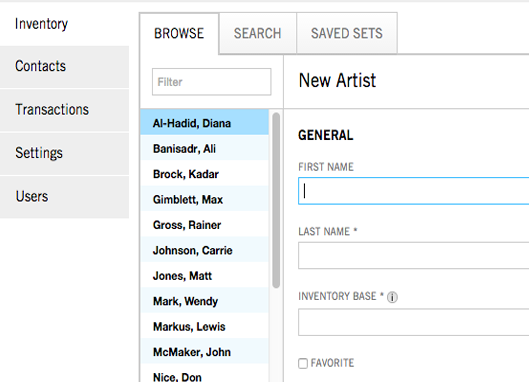 This is a quick overview of how to add artists to your galleryManager account. 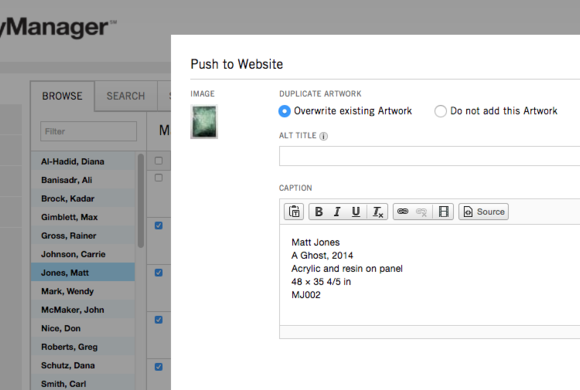 This is a quick overview of how to add artworks to your galleryManager account. 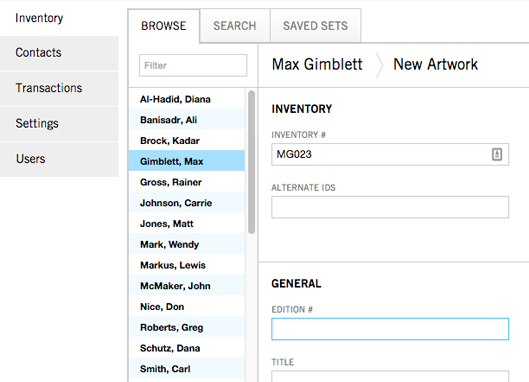 Sets are essentially saved searches that you create, name, and store for later reference. 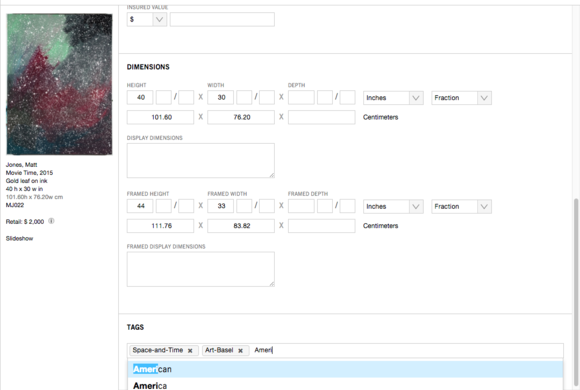 Creating reports in galleryManager from artworks, contacts and transactions. Applying payments towards invoices and sales in the system. This is a quick overview of how to configure emailing settings and email artworks. Global Search allows quick and easy access to your records using a keyword search. 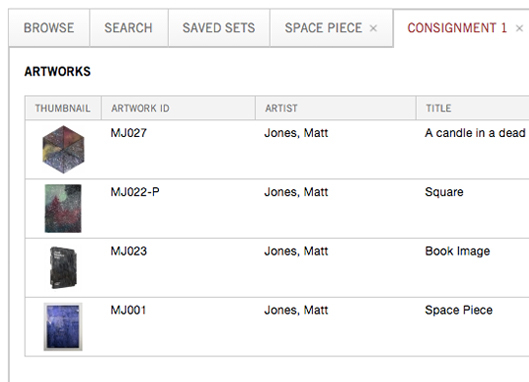 Sets are an easy way to group together artworks, contacts, and transactions based on specifed parameters. 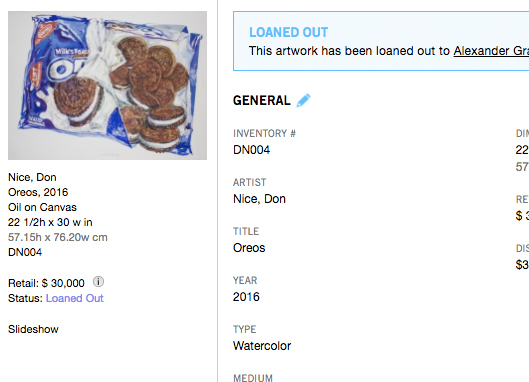 Tags are keywords assigned to pieces of information in your Contact and Artwork records. 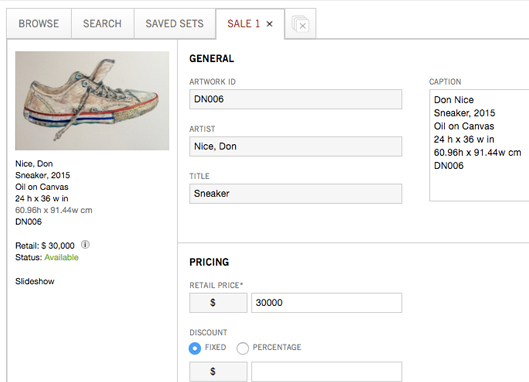 Tags help describe an item and allows it to be found easily by searching. 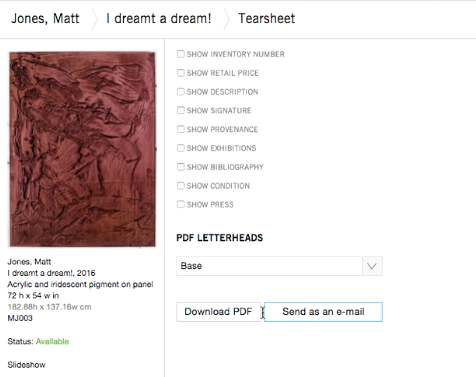 You can load in preset Terms and Conditions text for various document types, including Loans, Sales, Consignments, Artwork Lists, and more. Artwork Actions, located on the right of each artwork record, let you perform a number of actions on that specific work. 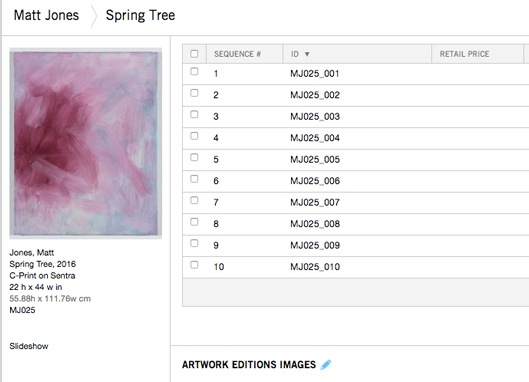 The majority of the fields available on an artwork page are self explanatory, but some may require minor clarification. galleryManager does not add artists from your Inventory tab to your Contacts list by default, but there may be cases where you do want the artist to appear in both sections. There are multiple layout options for exporting works to PDFs, including a List view (approximately 6-8 artworks per page, depending on image height), 4 Per Page view, 2 Per Page view, and 1 Per Page (Tearsheet and Facts Sheet) views. If you have any additional questions, please contact us at support@gallerymanager.com or call us at +1 212 625 9910. Contacts, Artists, and Artworks that are accidentally deleted can be restored within the system. 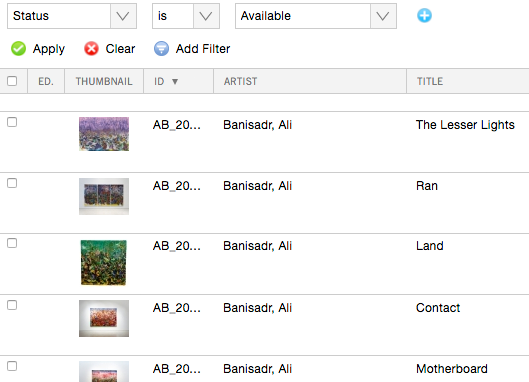 galleryManager uses the term "Artist" as a way of categorizing your Inventory. In some cases, it may be easier to categorize works by period (e.g. Federal, Edwardian, etc), category (e.g. Side Table, Mirrors), or another method of your choice. Artists can also be entered as Contacts; this is most useful if you're consigning works in from an artist or wish to otherwise interact with their studio as if it were a contact. Located on the right side of every Artwork record page is the list of "Artwork Actions." 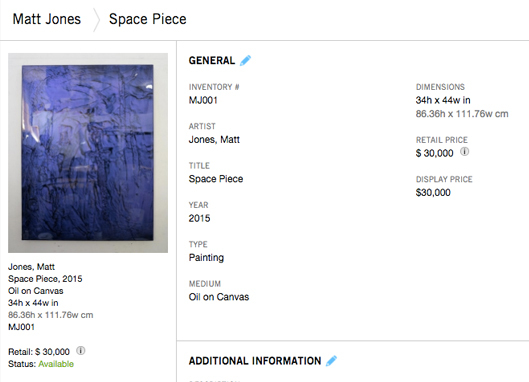 As the name implies, Artwork Actions are actions that can be performed on an artwork, such as export to a tear sheet, add a document, add an image, make inactive, put on hold, consign out, loan out, offer, sell, add to shipment, view history, or push to your exhibit-E website. Consignment is the act of placing an artwork in the hands of another, but retaining ownership until the goods are sold or otherwise transferred. 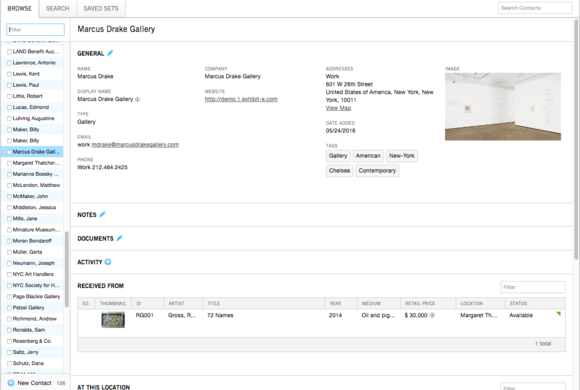 Artworks in galleryManager can be Consigned In under the record's Acquisition Information section, or Consigned Out using the "Consignment" transaction. 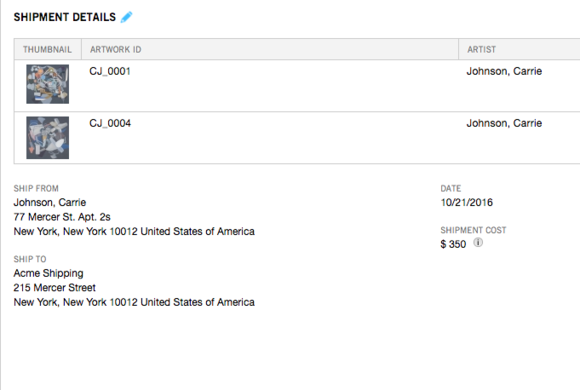 Contacts can be collectors, shippers, galleries, companies, artist, prospective buyers, or more. In order to perform a transaction on an artwork — such as a sale, consignment, loan, shipment, or offer — you must have a corresponding contact record for use in the "From" and/or "To" fields. Global Search located in the top right hand corner of your Inventory and Contacts tabs and allows fast access to any and all data fields for that section using a "fuzzy" keyword search. Your search will open in a new tab. This is the base letter or number that identify's each work of art for an artist. The inventory base should include numbers or letters specific to the artist you are adding. Example: John Smith's inventory base would be JS or js_00 etc. 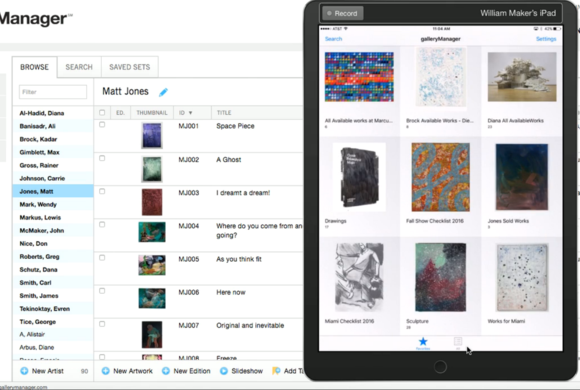 When you add a new artist to the galleryManager system, you assign the artist an Inventory Base and the system auto generates that ID number for each work of art for that artist using the assigned inventory base. Example: JS001, JS002, JS003 etc. It is important to note that these numbers can be manually edited. 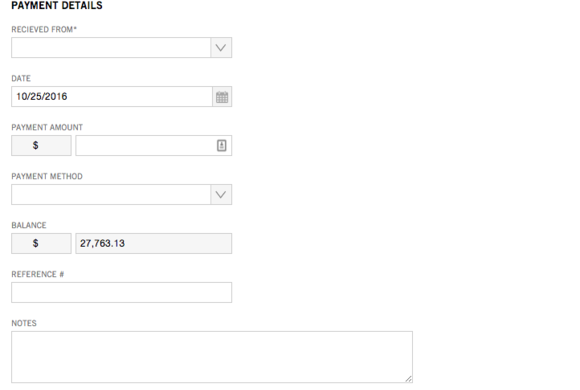 You can also enter alternate IDs in the "Alternate ID" field if you have a secondary method of keeping track of works. 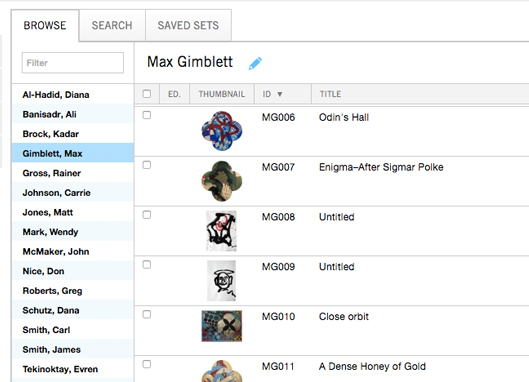 Filter Searches are available wherever your data is displayed in a table, such as your Inventory's Browse tab, or any of your Saved Sets tabs. Simply start typing a keyword you'd like to filter by into the Filter bar, such as "Sold," "Acrylic," etc., and the system will immeditaly begin filtering all of the data in that table. Lookups are keywords selected from Drop Down menus, assigned to pieces of information similar to tags, but are only associated with Contact Type (e.g. Collector), Address (e.g. Office), Artwork Type (e.g. Drawing), Condition (e.g. excellent), Medium (e.g. oil on canvas) and File Type (e.g. 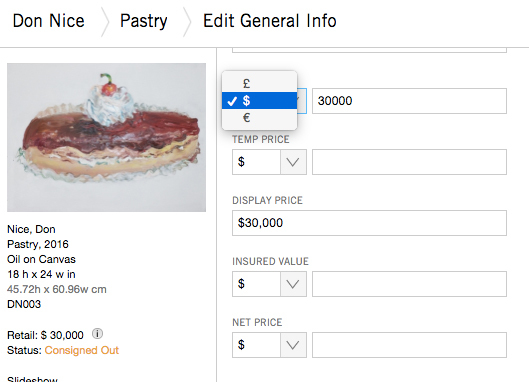 Insurance Document) and when using galleryManager are selected from Drop Down menus to help standardize and streamline your lookups. Portable Document Format (PDF) is a file format used to represent documents in a manner independent of application software, hardware, and operating systems. Each PDF file encapsulates a complete description of a fixed-layout flat document, including the text, fonts, graphics, and other information needed to display it. In 1991, Adobe Systems co-founder John Warnock outlined a system that evolved into present day PDF. A Set is a group of Artworks, Contacts, or Transactions that correspond to a set of user-defined criteria. 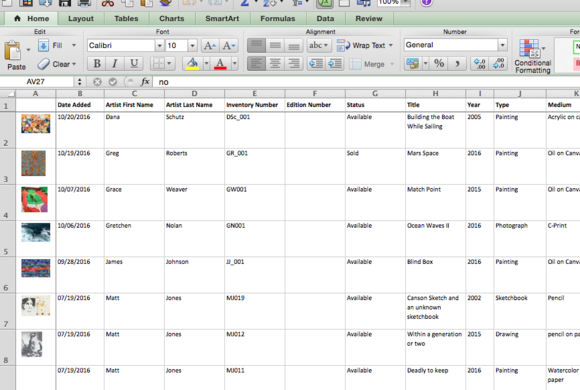 You create, name, and store sets in the system for later reference. 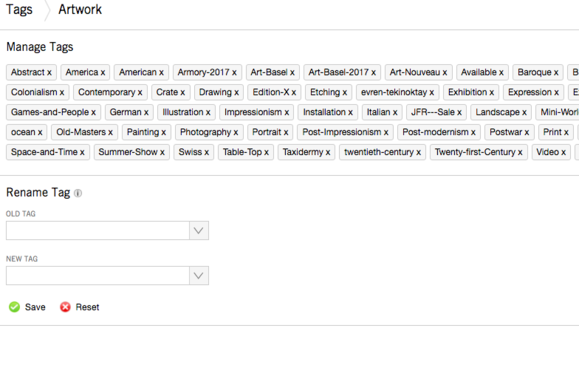 Tags are keywords assigned to pieces of information such as Contacts, Artists and Artworks. Tags help describe an item and allow it to be found easily when searching. General or special rules or provisions that are an integral part of your Sales, Consignments, Loans, Shipping and Artwork List contracts. In galleryManager, Terms of Agreements can be created, managed, and edited in the Settings section, under Templates. There you will find Terms of Agreement sections for Sales, Consignments, Loans, Shipments, Emails, Payments, and Artwork Lists. Each of these can have an unlimited number of custom agreements that can be inserted into the PDF documents that you create and export in your account.